A lovely olive spoon from the mid 1800's is signed "Conrantz(? )," and has unknown hallmarks as well. Silver content is unknown, it may be coin silver in the 800 range. 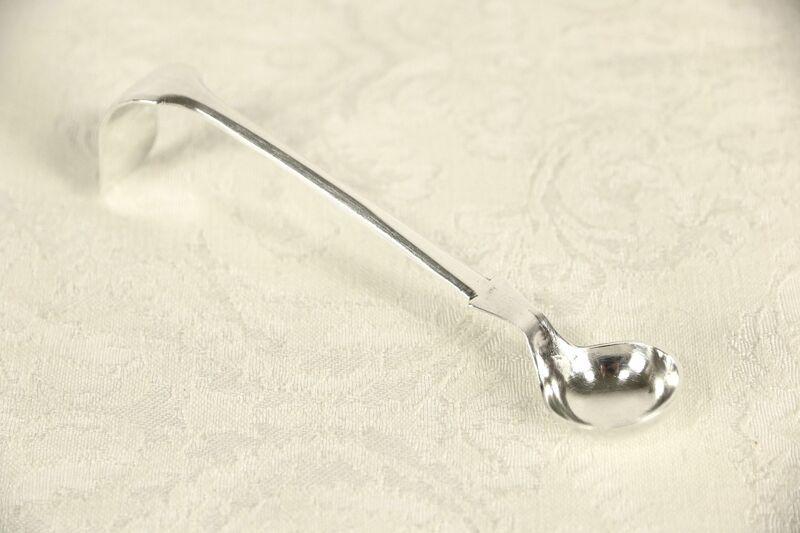 This antique silverware is handmade and has a graceful ladle shape. Overall length is 4 1/2." USPS Shipping is $5.00 in the US.